Since the release of iPhone 7, people are more into exploring technical features that iPhone has to offer them. Be it the longer battery life, the superior quality camera or a brighter display with a sleek finish; there is a lot of features in iPhone 7 to allure someone. Well, it is nothing to wonder that a number of products have been sold in last few years. What if you needed to fix an issue with such high-end gadgets? Where to find a reliable repairer? Well, we are among the reliable iPhone repair providers that come with relevant skills to provide necessary repairing to your iPhone. We at Mobile Experts provide iPhone 7 cracked screen repair in Brisbane using quality parts and tools to replace your screen. When you break your phone, you definitely need some expertise that can assist people in getting professional iPhone repair service at a reasonable price. Did water get into your iPhone 7? Don’t panic! We got your back! 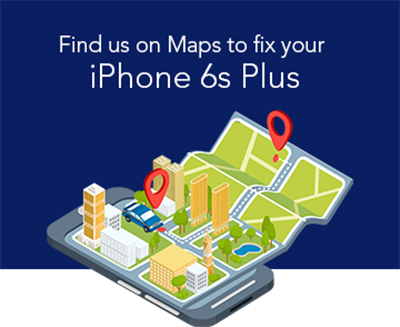 Mobile Experts has the expertise to fix your water-damaged iPhone 7. Our technicians resolve issues at a competitive price. Our technicians will strip your entire device and clean down the components. As soon as you find your phone water-damaged, the first thing you will do is turn it off. Until our professional help arrives, put the phone inside a bowl of rice and place the bowl in a sunny area. Before we go through the water-damaged part, don’t turn on the phone, as it can cause permanent damage. Well, our success rate is introducing us to new clients every day, and we are upgrading ourselves with tools and skills to avoid the possibility of permanent damage. Since the launch of iPhone models, the rage of buying iPhones and sensitiveness while using such hi-tech devices has been discovered among the Aussies. Whereas hundreds of new products have been sold in the past few years, it is less common to find a repair service that offers replacement or repair service at ease. We back our repair with 6 months warranty. We at Mobile Expert provide iPhone 7 Screen repair in Brisbane at an affordable and convenient manner. Be it a dodgy iPhone or shattered screen; we deal with all such problems to make your iPhone look and work like a new device again.